Sound artist, audio engineer, experimenter born in Italy in 1978. ​Founder and manager of Kaczynski Editions. Lives and works between Italy and Spain. Focused on the multiple possibilities of sound he works in different fields. 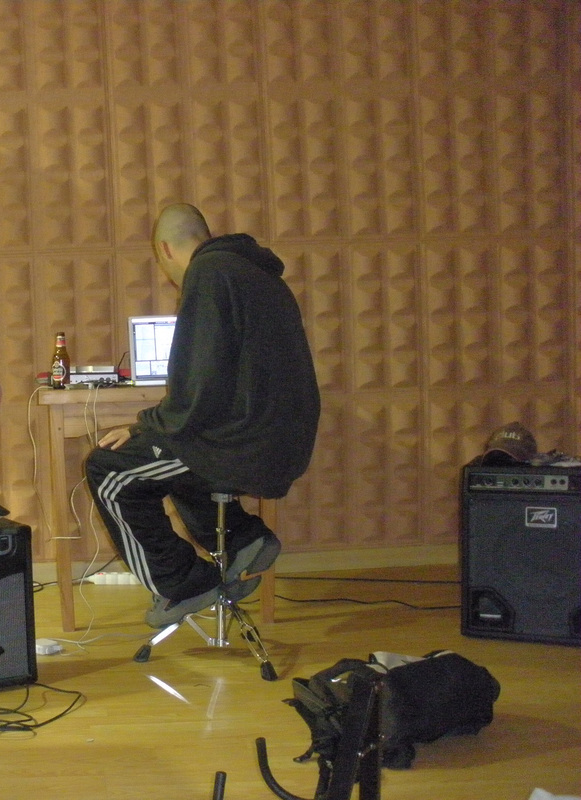 Besides his work as electronic musician with the solo project ranter's bay or the many side projects such as Zero23, ranter's groove or 23RedAnts, he has collaborated in the music for the theatre pieces by Licenciada Sotelo and Marco Regueiro in Spain and by Mending Dance Theatre in Taipei. He also played the music for the exhibits of artists such as Prof. Bad Trip (IT), Carlo Ferrari (IT), Pablo Orza (ES) and Frank Breidenbruch (DE). Artist in residence at Laznia center of Contemporary Art in Gdansk (PL), has collaborated, within the project "Miastofon" by Gruby Punkt, in the creation of a subjective sound map which was selected to participate at Post Screen, international festival of art, new media and cybercultures in Lisbon (PT) and at Espacio Enter Festival in Tenerife (ES). During this time he has performed in different independent festivals such as WOS Festival, Sinfonie per appartamenti, DeadSummerFestival or ALT festival in Spain and abroad. He has released several works on labels such as Crónica Electronica, Setola di Maiale, Creative Sources, zeromoon, ManyFeetUnder and of course Kaczynski Editons. He also builds his own instruments through the practice of circuit bending. All his works are released under a Creative Commons music licence as he believe in free culture.